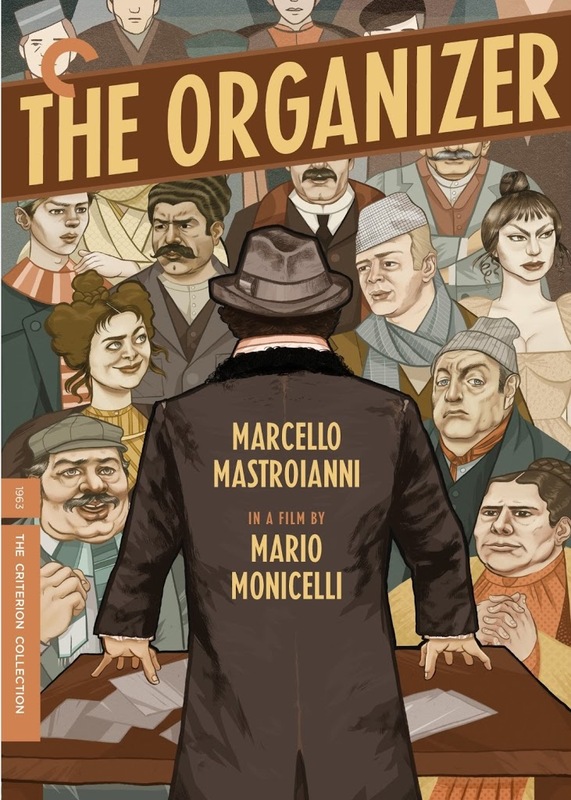 Article first published as DVD Review: The Organizer – The Criterion Collection on Blogcritics. Set in Italy at the dawn of the 20th century, The Organizer tells the story of the employees of a textiles factory. The staff is comprised of men, women, and children. The factory management has no regard for the safety of their dozens of employees. They work 14 hours a day, sometimes barely able to keep their eyes open as fatigue sets in. Their wages barely allow them to feed and clothe their families. Early in the film, an elderly worker loses his hand in a loom. The workers decide to confront their employers with a call for reduced hours and increased safety. Though their concerns fall on mostly deaf ears, things change when a wayward college professor named Sinigaglia (Marcello Mastroianni) decides to take up their cause. He helps the weary workers organize a strike. The workers are understandably skeptical about their likelihood of gaining anything from forgoing wages indefinitely. But the professor manages to convince them that they deserve better and have the power to achieve their goals through solidarity. As the story proceeds, a series of complications and setbacks make the plan nearly impossible to see through to the desired conclusion. The factory owners are not only stubbornly resistant to change, they seem to regard their staff as nothing more than beasts of burden. 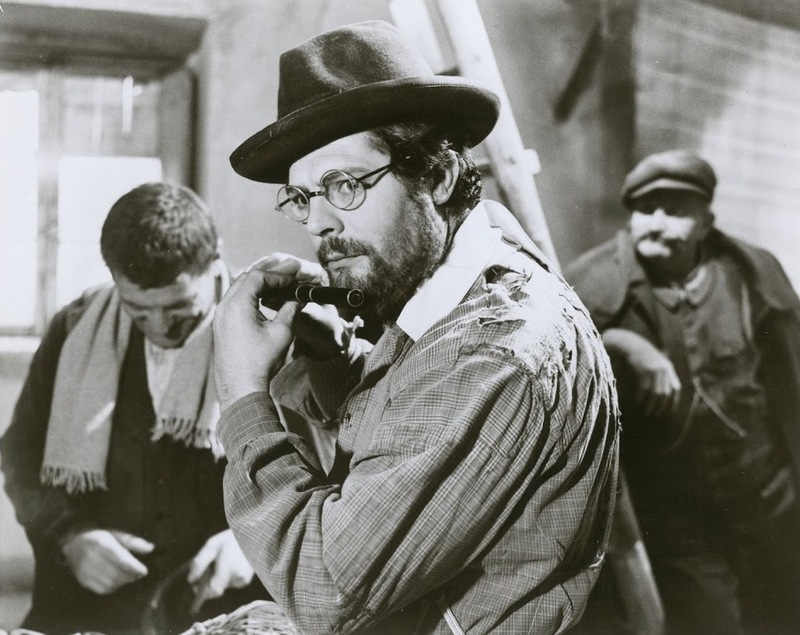 Directed by Mario Monicelli and released in 1963, The Organizer carries with it a message. It’s a fairly blunt message, but the story Monicelli (who co-scripted with Agenore Incrocci and Furio Scarpelli) weaves around it is actually quite nuanced. While the conditions at the factory are unrelentingly grim, its motley crew of employees remains generally good-humored. Often categorized as a comedy, The Organizer really isn’t that funny, but the quirks of its characters keep the overall tone lighter than one might have expected. In a contemporary context, the effectiveness and necessity of labor unions are deeply polarizing topics. But in the context of this film, and its historical basis, few would argue with the message that workers deserve a humane and safe working environment. So, in a way, Monicelli’s film is a stacked deck. Given the era in which it takes place and the one-dimensional villainy of the factory bosses, it’s nearly impossible not to side with the workers and their temporary leader. Mastroianni delivers a superbly reigned-in performance as Professor Sinigaglia. Perpetually disheveled, he is a man who has dedicated himself so fully to the cause of organizing labor that he has sacrificed any kind of personal satisfaction. He travels around from city to city, hounded by law enforcement who views him as a troublemaker, without friends or family. Whenever something goes wrong for the textiles workers – and things most definitely do go wrong – they turn on him, laying the blame completely at his feet. It’s a complex and heroic performance that grounds the film. Supplemental features are light, but a 10 minute, 2006 interview with director Monicelli (who passed away in 2010) is a welcome addition. Monicelli’s examination of The Organizer’s reputation as a comedy is interesting. I would’ve loved to have heard an even more in-depth analysis. Monicelli briefly puts the film in context with what he explains was a near-unanimously negative opinion of Italian comedies in general. The director also delves into his own political leanings and how they influenced his take on the material. As with the movie itself, the interview is in Italian with English subtitles. A newly written essay by the Village Voice’s J. Hoberman accompanies the DVD.